of his disinterest in any detail outside of his narrative, namely that Obama is out to destroy America! Trust me; I know the truth. On his 6/02/10 Fox show, Glenn Beck focused on one of the day’s headlines to convey his take on the facts surrounding the attack on the flotilla of ships by the IDF. Beck reviewed the Turkish aid organization, INN, and the human rights group, Free Gaza. Whether Beck actually knows the truth and chooses to ignore it or not can only be guessed about. Either way, the question begs to be asked: how can anyone trust Glenn Beck to tell the truth, whatever version of it he actually understands? Actually that was just on the nightly news. There is one nation that is not condemning Israel, but Beck could not mention which one because that would interfere with his narrative: that the Obama Administration is engaged in a power grab that will destroy our freedom and is otherwise wrong about everything. The one nation not condemning Israel is the United States! 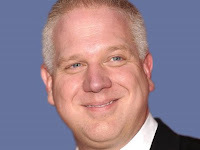 Beck won’t give credit to this Administration when they do the right thing according to Glenn Beck. Sometimes one of Beck’s shows can be wrapped up in short order, but yesterday it was nearly half way through before he showed the video taken by the IDF where either INN or Free Gaza participants were beating IDF personnel with metal rods or sticks and one IDF soldier was shown being thrown over board. Beck claimed that the IHH/Free Gaza beating of IDF soldiers was not shown on any other network besides Fox. I saw the nightly news story that showed clips of the video shot by both sides in this event, and I was not watching Fox “News.” I saw it again on Countdown with Keith Olbermann on MSNBC. Beck never said what American was on that ship. Beck told his audience he was going to ask if there were any Americans on any of those ships, but instead he showed pictures ofWilliam Ayers and his wife explaining that they supported Free Gaza. Actually, there was an American on one of those ships who was interviewed on Countdown, former Deputy Director of Ronald Reagan’s White House task force on Terrorism and former U.S. Chief of Mission in Bagdad, Ambassador E. Peck. In Peck’s view the people on the ships of the flotilla were resisting the attack coming from the IDF. Peck: The sad truth of the matter is bad things are happening…will happen to [Israeli, Palestinian and American] groups because of what is going on and what is not going on in Gaza…Backing Israel is one thing. Backing everything she does is not only bad for us, it’s bad for Israel. someone like Glenn Beck is trustworthy. How is Glenn Beck worthy of your trust?! ?